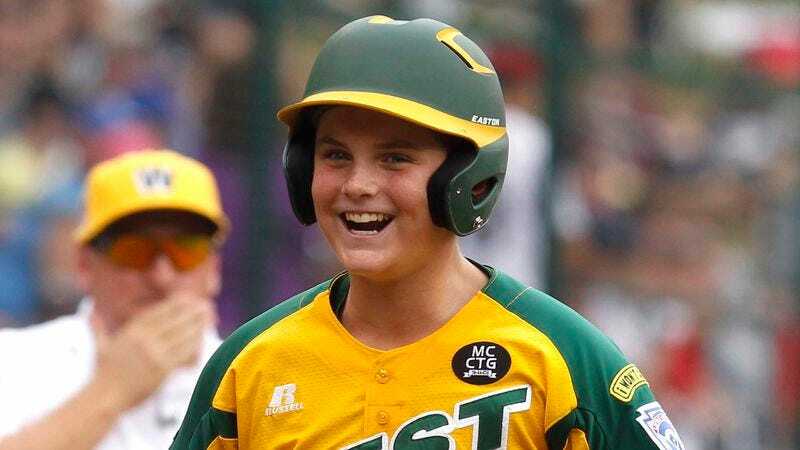 SOUTH WILLIAMSPORT, PA—Praising the young athletes for their unbridled enthusiasm, Little League World Series viewers from across the country marveled Friday at how refreshing it is to see players competing purely for their love of ESPN’s bottom line. “With the cutthroat, win-at-all-costs mentality of professional sports, it’s just great to see these kids take the field and play for no other reason than the simple joy of improving ESPN’s annual profit margin,” said Alex Rice, manager of the Philadelphia-based Taney Dragons, adding that the raw emotion and excitement displayed by his 11- to 13-year-old players when they bolster the cable sports network’s net earnings remind him of why he got into coaching youth baseball in the first place. “They all want to win, obviously, but at the end of the day, it’s not all about who wins and who loses. For them, it’s just about going out there with their friends and ensuring that ESPN—and ultimately, parent company Disney—can reap millions of dollars in advertising revenue and sponsorship deals during the summer lull before the NFL and NBA start back up again. This is what makes sports so great.” Rice added that he reminds his players before every game that regardless of which team is victorious, the only thing that truly matters is increasing viewership ratings so ESPN will have leverage to raise the cost of commercial time during next year’s tournament.